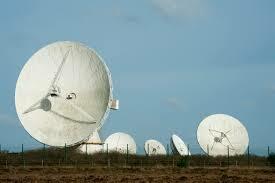 HMT LLP undertook financial due diligence for Peter Hargreaves on his £24 million investment in Goonhilly Earth Station. Founded by entrepreneur and satellite communications engineer, Ian Jones, Goonhilly Earth Station Ltd acquired the Goonhilly satellite station from BT in 2014 with a vision to create a multi-faceted space hub. Goonhilly is famous for being involved in the first trans-Atlantic TV transmission in 1962, beaming images of the moon landing across Britain in 1969, and taking part in almost every major satellite communication development since. The team at Goonhilly have achieved significant, rapid success not only winning contracts with the world’s major satellite operators, but also supporting 9 universities, establishing the Sat Apps Catapult Regional Centre of Excellence for the South West (with Exeter University), helping to form an exciting games development company (Stormtide) with Falmouth University, being awarded Enterprise Zone status by the UK government, establishing the fastest commercial data connectivity in the South West of the UK, partnering with QinetiQ, Eutelsat, SSTL and ESA and launching the world’s first commercial deep space communications service. Goonhilly recently signed an £8.4 million contract with the European Space Agency to launch the world’s first commercial deep space communications network, and is also working on plans to put a satellite in orbit around the moon. The £24 million investment by Peter Hargreaves will enable Goonhilly to consolidate its satellite business, expand its deep space network and allow Goonhilly to expand globally.